Artificial intelligence is already helping determine your future – whether it's your Netflix viewing preferences, your suitability for a mortgage or your compatibility with a prospective employer. But can we agree, at least for now, that having an AI determine your guilt or innocence in a court of law is a step too far? Worryingly, it seems this may already be happening. When American Chief Justice John Roberts recently attended an event, he was asked whether he could forsee a day "when smart machines, driven with artificial intelligences, will assist with courtroom fact finding or, more controversially even, judicial decision making". He responded: "It's a day that's here and it's putting a significant strain on how the judiciary goes about doing things". Roberts might have been referring to the recent case of Eric Loomis, who was sentenced to six years in prison at least in part by the recommendation of a private company's secret proprietary software. Loomis, who has a criminal history and was sentenced for having fled the police in a stolen car, now asserts that his right to due process was violated as neither he nor his representatives were able to scrutinise or challenge the algorithm behind the recommendation. The report was produced by a software product called Compas, which is marketed and sold by Nortpointe Inc to courts. 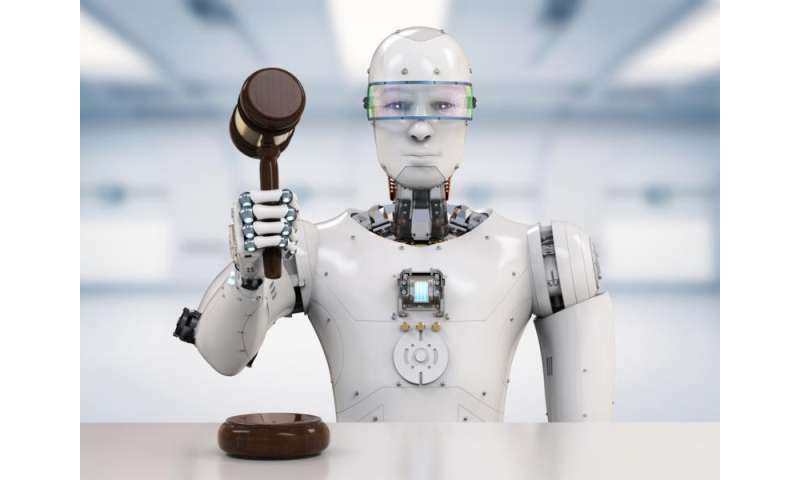 The program is one incarnation of a new trend within AI research: ones designed to help judges make "better" – or at least more data-centric – decisions in court. While specific details of Loomis' report remain sealed, the document is likely to contain a number of charts and diagrams quantifying Loomis' life, behaviour and likelihood of re-offending. It may also include his age, race, gender identity, browsing habits and, I don't know … measurements of his skull. The point is we don't know. What we do know is that the prosecutor in the case told the judge that Loomis displayed "a high risk of violence, high risk of recidivism, high pretrial risk." This is standard stuff when it comes to sentencing. The judge concurred and told Loomis that he was "identified, through the Compas assessment, as an individual who is a high risk to the community". The Wisconsin Supreme Court convicted Loomis, adding that the Compas report brought valuable information to their decision, but qualified it by saying he would have received the same sentence without it. But how can we know that for sure? What sort of cognitive biases are involved when an all-powerful "smart" system like Compas suggests what a judge should do? Now let's be clear, there is nothing "illegal" about what the Wisconsin court did – it's just a bad idea under the circumstances. Other courts are free to do the same. Worryingly, we don't actually know the extent to which AI and other algorithms are being used in sentencing. My own research indicates that several jurisdictions are "trialling" systems like Compas in closed trials, but that they cannot announce details of their partnerships or where and when they are being used. We also know that there are a number of AI startups that are competing to build similar systems. However, the use of AI in law doesn't start and end with sentencing, it starts at investigation. A system called VALCRI has already been developed to perform the labour-intensive aspects of a crime analyst's job in mere seconds – wading through tonnes of data like texts, lab reports and police documents to highlight things that may warrant further investigation. The UK's West Midlands Police will be trialling VALCRI for the next three years using anonymised data – amounting to some 6.5m records. A similar trial is underway from the police in Antwerp, Belgium. However, past AI projects involving anonymised data have been problematic. Technology has brought many benefits to the court room, ranging from photocopiers to DNA fingerprinting and sophisticated surveillance techniques. But that doesn't mean any technology is an improvement. While using AI in investigations and sentencing could potentially help save time and money, it raises some thorny issues. A report on Compas from ProPublica made clear that black defendants in Broward County Florida "were far more likely than white defendants to be incorrectly judged to be at a higher rate of recidivism". 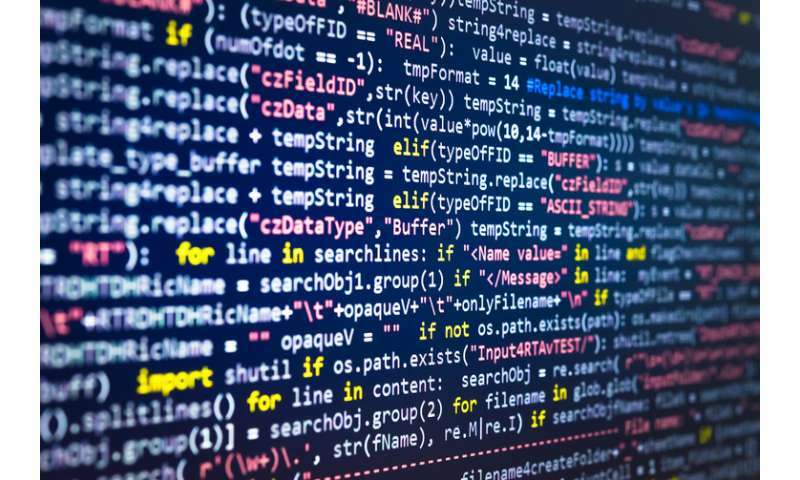 Recent work by Joanna Bryson, professor of computer science at the University of Bath, highlights that even the most "sophisticated" AIs can inherit the racial and gender biases of those who create them. What's more, what is the point of offloading decision making (at least in part) to an algorithm on matters that are uniquely human? Why do we go through the trouble of selecting juries composed of our peers? The standard in law has never been one of perfection, but rather the best that our abilities as mere humans allow us. We make mistakes but, over time, and with practice, we accumulate knowledge on how not to make them again – constantly refining the system. What Compas, and systems like it, represent is the "black boxing" of the legal system. This must be resisted forcefully. Legal systems depend on continuity of information, transparency and ability to review. What we do not want as a society is a justice system that encourages a race to the bottom for AI startups to deliver products as quickly, cheaply and exclusively as possible. While some AI observers have seen this coming for years, it's now here – and it's a terrible idea. An open source, reviewable version of Compas would be an improvement. However, we must ensure that we first raise standards in the justice system before we begin offloading responsibility to algorithims. AI should not just be an excuse not to invest. While there is a lot of money to be made in AI, there is also a lot of genuine opportunity. It can change a lot for the better if we get it right, and ensure that its benefits accrue for all and don't just entrench power at the top of the pyramid. I have no perfect solutions for all these problems right now. But I do know that when it comes to the role of AI in law we must ask in which context they are being used, for what purposes and with what meaningful oversight. Until those questions can be answered with certainty, be very very sceptical. Or at the very least know some very good lawyers. AI as judge = perfection! I know this will take awhile to perfect but that will be the final outcome.